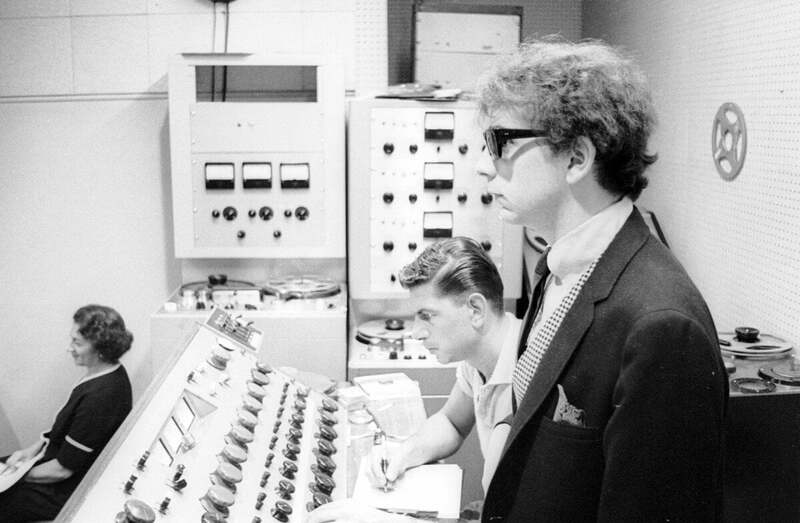 Phil Spector’s contribution to the lexicon of music for me is a very recognizable sound filled with percussive pop pomposity piled with layers of instrumentation and exploding with echo. His most influential era was the girl-group 1963-64 period – The Ronettes, The Crystals, Darlene Love, etc (though his production on George Harrison’s All Things Must Pass was notable too). To this day his sound is still imitated reverently and easily recognizable just as film-makers often pay tribute to Hitchcock when it comes to mystery. What follows is my list of 20 songs from various eras that I enjoy and at least nominally have some similarity to the Spector sound. They aren’t in any real order as I enjoy them all. Note that Ace Records of England has put out three fine CDs of Spector Soundalikes that are worth owning. None of the following songs are on those albums. Please don’t scream that Bruce Springsteen & the E Street Band “Born To Run” should be listed as I was trying to go for lesser known goodies but agree that it was outstanding. At once their crowning achievement and perhaps their biggest disappointment, this is an excellent cover of the Roy Wood Wizzard UK hit. This was a 1977 single on the Private Stock label that sank without a trace as the label was winding down operations. Frankly the sound flew in the face of what was hot in the US anyway – Fleetwood Mac, Andy Gibb , etc. Sam (Flash), Kris (Angelo) and Linn (Spike) are all in rock and roll heaven where hopefully great music like this gets a second chance. Proving that the kids in the mother country had some taste back in 1973, this was a #5 hit in the UK with Mr. Edmunds handling the playing and singing. The song was written in 1956 by Don Robertson and was a US hit for the Chordettes in that year in a pop style totally removed from Dave’s wall-of-sound arrangement. The song appeared in the U.S. on the RCA LP Subtle As A Flying Mallet. A fine Peter Collins 1984 production for a lady known more as a comedian/tv performer, this single reached number 18 in the UK charts. Her two Stiff records are collected on the excellent double CD Move Over Darling and is a must for fans of the girl group sound. This song was written by John D Loudermilk and was a minor hit in the US for Skeeter Davis in 1965 in a more conventional style. After their initial success as the British Invasion took off in 1964, the Searchers singles charted lower and lower to the point that by the time their excellent late 1965 LP Take Me For What I’m Worth came out they were barely hanging on in the US. “Each Time” which was written by Jackie DeShannon could well have been a single, but was buried as an album track. The production is drenched in glorious layers of echo. Of course Dion will always be remembered for such great hits as “Runaround Sue” and “The Wanderer”, but by the end of the 60s he was pretty much washed up as a recording artist. In 1989 Dave Edmunds produced a fine comeback album for Dion DiMucci that included this excellent Dion original (co-written with B. Tuohy) as an album track. The comeback didn’t really take off sadly. It is nearly painful how unknown the talented Roy Wood is in the US. He wrote and performed some great 60s pop with the Move then started the Electric Light Orchestra (ELO) with Jeff Lynne only to quit after one album to front Wizzard. While ELO became US superstars, Wizzard were UK stars for a time who could never crack America. This 1973 single went to #1 in the UK and perfectly encapsulates his sound – an homage to the wall-o-Spector school of overproduction which sounds sublime on CD. With production and writing credit by Wayne Bickerton (co-writer Tony Waddington), this was an international smash hitting #1 in the UK in 1974. For the record, the Rubettes were a studio creation with Paul DaVinci singing lead as opposed to the guy who lip-synces in the video. When it became a hit, a real group was organized with different players who went on the have more hits but none are big as the first. Production is handled by Miami Steve Van Zandt with backing from the E Street Band he was a member of. Vocals were by one of Phil Spector’s main singers (and one-time wife) Ronnie so you can’t get more legit than that. Billy Joel who wrote it had a #17 hit with his song in 1981, but this should have been the one to chart in a more perfect world. Diane and Marilyn Rovell plus their cousin Ginger Blake (the Honeys) were never successful on their own even though Brian Wilson of the Beach Boys was their producer and songwriter (and later husband to Marilyn). Of course it is well-known that Brian’s favorite record was a Spector production of “Be My Baby” (the Ronettes) so it is not a surprise how much this record owes to that sound. This was a single on Capitol in 1963 and should have been a hit. It is the Honey’s singing backup on many Jan & Dean records and the single recording of “Be True To Your School” by the Beach Boys. Back in 2000 three young ladies (Aubrey, Cara & Rhian) with producer/drummer John Giotto put out a fine homage album to the girl group sound of the 60s (Can I Get To Know You Better) on Mister Cat Records. According to their website Giotto still manages a trio of females that mostly seem to appear in New York 30+ years after the original act formed. The song was written by Hawker & Shakespeare the real names of Ken Lewis and John Carter who as a team wrote a pile of big hits (“Can’t You Hear My Heartbeat”, “Little Bit O’ Soul”, etc.). Bob Geldof went against his Irish band’s usual sound for this 1981 single awash in echo. It managed to only chart in the UK at #62 but was full of Spectorism percussion. Geldof is better known for his political activism organizing Band Aid and the massive concert Live Aid in 1985. The Brits also had the girl group sound as is seen from this nice Tony Hatch (Petula Clark, The Searchers) production from 1964. It was a single b-side written by Jeff Barry & Ellie Greenwich. They were more known for singing backgrounds on sessions for artists like Dusty Springfield, Cilla Black and Lulu not to mention “Hey Joe” for Jimi Hendrix. This Swedish band started in 1977. If you can believe wikipedia’s translation, this became their first big hit in 1991 (at least in Scandinavia). The song was written by Norell, Oson & Bard and is from their self-titled CD on Sonet. Production was by Ola Hakansson, Tim Norell and Anders Hansson. From their website it appears the band is still going with one original member. Showaddywaddy started in the UK in 1973 when two bands came together dressing as teddy boys and singing oldies. They are still going with at least two original members (though not their lead singer Dave Bartram). They were hugely successful at their peak having ten Top Ten singles, a number one (“Under the Moon of Love” in 1976), and a total of 209 weeks in the UK Singles Chart. This group original was an album track from their self-titled debut record in 1974 and was produced by Mike Hurst. Back in the 70s Nick and Dave Edmunds were releasing their Rockpile band records under their respective names depending on who was singing lead. This 1977 Stiff records non-charting single was a cover of a 1961 Goffin/King composition that was a big UK hit for Billy Fury in 1961 (#3). Lowe dropped away from rock and roll for way too long, but of late seems to have found his way again recording and touring with one my fave bands Los Straitjackets. For some reason this video ends early – sorry. With “My Sharona” and the like these power-popsters blazed bright for a time in 79-80 then sadly flamed out just as quickly. This Doug Fieger original was an album cut from their 1980 sophomore release …But the Little Girls Understand that contained their #38 chart single “Baby Talks Dirty”. The years 1979 and 1980 were some of my favorite years musically with acts like Cheap Trick and other power-pop bands (Paul Collins Beat, the Romantics) coming to the fore. The McKinleys were sisters Sheila and Jeanette from Scotland who released this single in 1964 to sporadic success in certain areas of America. The song was written and produced by John Carter and Ken Lewis who along with Perry Ford were also the chart act The Ivy League (“Tossing & Turning”, “Funny How Love Can Be”, etc.). This was a 1975 cover of the Four Seasons record “Bye Bye Baby (Baby Goodbye)” from a decade earlier. Bob Crewe’s production always owed a bit of a debt to Spector anyway, but this version produced by Phil Wainman took it up a notch. This was a number 1 single for the teen idols from Scotland. Okay, I admit that this is probably a bit of a cheat as it was arranged by Jack Nitzsche who was Phil Spector’s right-hand man. Production on this 1963 single was by Jimmy Bowen (Dino, Desi & Billy, Frank & Nancy Sinatra, Dean Martin and just about anybody else on Reprise back in the day). Pat Powdrill was one of those faceless but essential singers from back in the day who supplied background vocals on records. From 1966 till the early 70s she was a member of the Ikettes who backed Ike & Tina Turner. This was an album track from the UK band’s second Chiswick album Holiday Album in 1978. Radio Stars was a band started by Martin Gordan (ex-Sparks bassist) and Andy Ellison (vocalist with John’s Children who also featured Marc Bolan) fitting in somewhere between punk and new wave. Gordon handled the production. Very nice selections! Check out my blog. I reckon you’ll dig it.